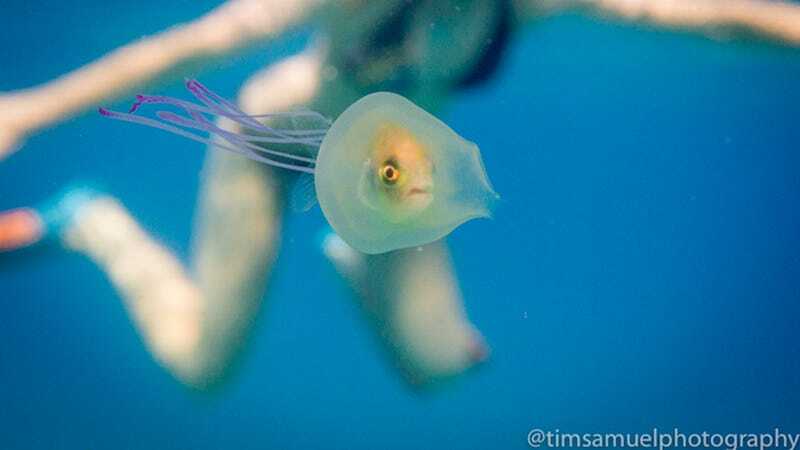 While freediving in their home of Byron Bay, Australia, photographer Tim Samuel and videographer Franny Plumridge stumbled on a rare sight: a fish stuck inside a jellyfish. The fish was apparently somewhat able to steer its new and permanent hat. But the look on its face says it all: Oh God, what have I done. Will I die with such indignity, able to see the wide ocean before me but never again touching it?